Is it time to upgrade from the basic tomato? 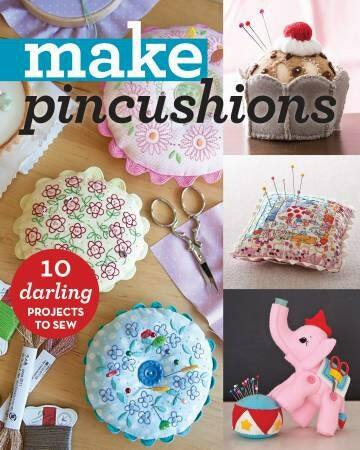 Treat yourself to a new pincushion that’s sure to put a smile on your face! Sew 12 playful patterns from top designers, from 3D shapes to cute little critters. Try out a variety of techniques–like appliqué, embroidery, and piecing–in this value-packed booklet. Perfect for swaps, gifts, and stocking stuffers, these charming pincushions are so quick to sew, you’ll want to make them again and again. • Go beyond tomatoes with a variety of shapes, including 3-D critters. • Try your hand at applique, traditional piecing, and embroidery. • Whimsical, bold, modern, and classy designs mean there’s something for everyone.